“It’s declined,” said Carol Tempel when asked about South Carolina’s rank in education since she last ran for SC House seat 115. Her chagrined response came during a “meet & greet” held Oct. 11 at an undisclosed Kiawah Island address. Tempel ran for the seat in the wake of redistricting six years ago on a platform that included improvement to SC’s national standing. She’s running again, more determined than ever to address the problem, starting with how education is funded in our state. Act 388 was enacted in 2006 as a tax reduction measure, paring funding for education from owner-occupied residences. Sales taxes, combined with property taxes on businesses and rental properties, have been used to fund schools with presumably unexpected effects since Act 388 went into effect 12 years ago. Rural districts don’t have the same purchasing power as their counterparts to begin with, and urban centers have come to recognize the roller-coaster nature of predicting sales. “We know how uneven and unpredictable the sales tax is. Schools need a steady stream of funding, and need to know [what to expect] a couple years in advance,” said Tempel. “Charleston endured an $18 million shortfall last year, which resulted in the loss of 170 teachers,” begging the question of how the Lowcountry will cope with an estimated $40 million shortfall in the current year. Asked what she would do in her first 100 days, the sort of question typically reserved for the executive/governors branch, Tempel responded quickly. She pointed out the education funding problem is a known quantity, and vowed to reanimate previous efforts to remedy it, which withered on the vine in Columbia’s “business as usual” climate. “People want low taxes, and they get them, but our kids get the shaft,” said the retired educator. Tempel grew up working in her father’s tool & die shop. She always wanted to be a biology teacher, but when she eventually moved to the Lowcountry, there were no teaching positions available. Anxious to augment her husband George’s bread winning efforts, she rented a table in Charleston’s market selling spices, teas, etc. Some spices moved better than others, and the ones that didn’t were ‘married up’ [think ‘everything bagels’] into their own, unique package, Tempel recalled. “There was this one guy, who always came by and bought them [combos]. I was doing well enough that I wanted to open a gourmet store, … went into the bank for a loan, and ended up on the other side of the desk from the guy who always bought the [combos]. Tempel got her store front, the first of several endeavors which speak to her business acumen, support of small business in general, and, of course, education. Tempel’s years in the classroom led to a position as the curriculum specialist for math, science and technology in Charleston. She subsequently established the Science Resource Center for Lowcountry schools. She leveraged that success into positions as assistant principal at Buist Academy, interim principal at CE Williams, and principal at Academic Magnet High School. The three schools have set a high bar as models for the rest of the state at a time before there was a shortage of teachers. “Health, jobs, all of it starts with education. Our kids aren’t [even] getting the jobs in our area because they aren’t ready,” said Tempel. 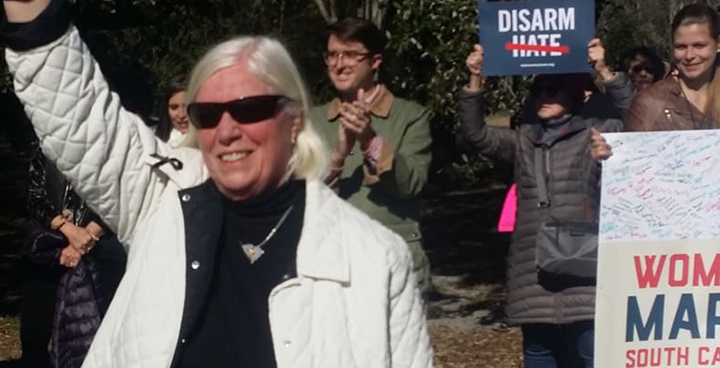 She wants to be a full time legislator so she can spend whatever time is required to be an “agent of change,” and proudly announced the endorsement of the South Carolina Education Association. There’s plenty of time left to meet Tempel, who has been visiting meet & greets in SC-115 and hosting picnics most weekends. More information and a list of upcoming events visit CarolTempel.com/.